Congratulations to our 2017 Naturalists of the Year, Peter and Deana Gadd! What is the Naturalist of the Year Award? 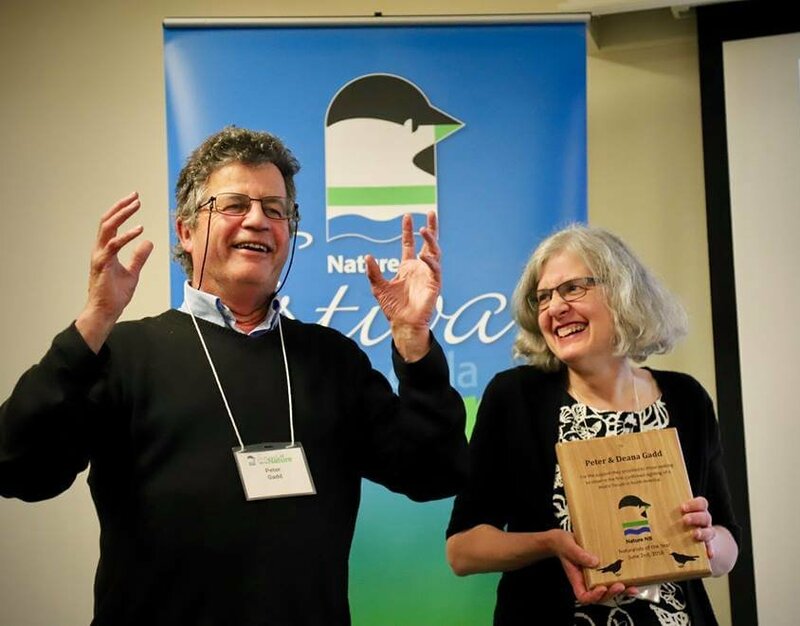 The Naturalist of the Year Award honours members of the Nature NB community who have made outstanding contributions toward celebrating, conserving, and protecting natural heritage in New Brunswick. Nominations are made throughout the year and the award is presented during our annual Festival of Nature in the spring.